David Lader | Observing, Thinking, & Feeling… What’s the Difference? David Lader is currently the head instructor at the Warrior’s Dance school in Tucson, Arizona. He began developing the Warrior’s Dance system in 1994 while acting as head instructor at The Dojang, his traditional martial arts school based primarily on Korean Tae Kwon Do. In his younger years, Lader studied various other forms of martial arts, dance, and yoga as well. Drawing on these disciplines, and wanting to find a more responsible way to warm up his aging body for the rigors of demanding Tae Kwon Do training, Lader started designing a new system which used music and dance as a more playful and gentle way to study self defense. Mr. Lader was the executive producer of a Warrior’s Dance training DVD which was completed in 2003, and, in March of 2013, he produced a video montage of Warrior’s Dance as it is practiced today in his Tucson classes. To learn more about Lader’s Warrior’s Dance or to view his most current video, visit him at WarriorsDance. You can also visit David directly at DavidLaderInfo. Mr. Lader graduated from Cornell University in 1986 with his Bachelor of Arts. His degree combined anthropology, sociology, and cross-cultural psychology, and Lader’s coursework included the study of Native American, Japanese, and South Asian cultures. In 1985, he went to England to study South Asian Philosophy and Religious Systems at the University of London’s School of Oriental and African Studies (SOAS). During his time in London, Lader was awarded First Class British Honors Distinction for his work. While living in London, Mr. Lader also had his first formal training in dance – he studied ballet at the Royal Ballet School in Covent Gardens in London. Lader recalls being humbled by the balance, coordination, strength, and flexibility of his teacher. She was the first to inspire him to broaden his notion of what physical strength looked like. David Lader began his graduate study in 1995 in Tucson, Arizona. While running The Dojang, his local martial arts school, he spent the next three years earning his Master’s Degree in Counseling through the University of Phoenix. Mr. Lader did his counseling internship at El Rio Behavioral Health Center in Tucson in 1997 where he assisted with intakes, crisis counseling, and group therapy. After graduating, Lader was hired on to facilitate El Rio’s Outpatient Life Skills Group for Severely Mentally Ill adults. He worked in this capacity for almost two years before going into private practice. Mr. Lader had many jobs while growing up in Cleveland including paper boy, pizza maker, and gardener. He also enjoyed running his own small businesses. Mr. Lader tells about one of his first forays into the entrepreneurial world when he had his own one- man auto detailing business. One of his father’s co-workers hired him to wax her black Cadillac. Unfortunately, in his enthusiasm, Lader got a bit over-zealous with his new high speed buffer, and the car had to be professionally refinished to fix the mess. He compensated the woman and tried improving his technique, but was finally convinced to try another line of work. Inspired by his own parents’ philanthropy, Lader also remembers several volunteering opportunities that he valued, including working at Cleveland’s Montefiore Nursing Home. Mr. Lader befriended one of the residents named Mr. Freeman. At 92 years of age, Freeman decided to study for the Bar Mitzvah that he’d always wanted but was never able to have. One of Lader’s most precious memories was helping Mr. Freeman to the pulpit and assisting with the service. During his undergraduate years at Cornell, Lader had various odd jobs including waiting tables and delivering pizza. He also had the opportunity to volunteer for a local organization in Ithaca, New York called Offender Aid and Restoration, or O.A.R. This group sent volunteers into the local jail in order to “hook up” with certain inmates that were getting ready to be released back into the community. The idea was to provide support and advocacy to prisoners who were otherwise isolated and without resources to re-integrate into society. Lader describes his O.A.R. training as the first practical instruction he’d received in “active listening,” and the experience influenced some of Mr. Lader’s professional choices later on. After graduating from Cornell in 1986, Lader moved to New York to work for ADP as an account executive. During the week he sold payroll services and managed accounts. On evenings and weekends, Lader began his own martial arts club while also training in Tae Kwon Do at the United Chung Do Kwon Home School in Floral Park, New York with Master Hyun Ok Shin. Having also trained under 3rd Degree Black Belt David Warden for 4 years while at Cornell, Lader earned his first Dan Black Belt under Master Shin in 1987. 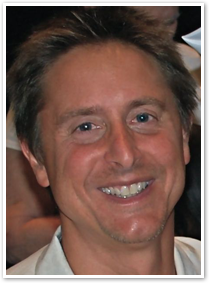 David Lader moved to Burlington, Vermont in 1988 to open two new Tae Kwon Do schools. During this time, Lader also began studying to become a personal trainer at The Fitness Advantage in Essex Junction, Vermont where he opened his third Tae Kwon Do school. By now, Lader had already begun combining his knowledge of biomechanics, classical ballet, and traditional Korean martial arts; his teaching methods became increasingly unconventional – he believed there were safer and more effective ways to strengthen martial arts students with less risk of injury. Lader moved back to Cleveland in 1990 to work for Digital Office Kare (DOK) and DataVantage, two local companies that provided computer hardware maintenance services and software solutions respectively. While working in sales for both companies, David Lader opened his fourth martial arts school in Solon, Ohio while maintaining his association with Grandmaster Shin in New York. Shin visited Lader’s school every four months to test the students for new rankings, and, in 1991, awarded Mr. Lader his 2nd Degree Black Belt. Lader relocated to Tucson, Arizona in 1992 where he opened his fifth traditional Korean martial arts school, or “Dojang.” Here, Mr. Lader earned his 3rd, 4th, and 5th Degree Black Belts, trained hundreds of students for the next 13 years, and produced over 30 black belt instructors, one of whom went on to become a master in her own right. David Lader began a private counseling practice in 1999 – he worked exclusively with adults and specialized in couples counseling. Lader also worked with severely mentally ill clients as well as facilitating anger management and substance abuse groups at The Center For Life Skills in Tucson. Mr. Lader retired from teaching Tae Kwon Do and practicing counseling in 2004 and sold his school to his senior instructor Marie Daranyi. He then opened Daken, LLC that year with a long-time friend and real estate developer Mr. Ken Lebsock. While Lader and Lebsock negotiated various real estate investments in Tucson, Mr. Lader also began teaching his Warrior’s Dance system at both The Zuzi Dance Theatre and the Flor De Liz Dance Studios in Tucson. In 2007, Lader and Lebsock formed their second real estate investment partnership, Rovin LLC, and, in 2013, David Lader opened Linoa LLC, his own real estate development company. He continues teaching and developing Warrior’s Dance today at Flor De Liz Dance. Mr. Lader became a Nationally Certified Counselor (NCC) through the National Board of Certified Counselors (NBCC) in 1998, and, subsequently, become a licensed professional counselor in the state of Arizona (LPC). From 1994 through his retirement from counseling in 2004, Lader was an active member of The American Counseling Association (ACA), and, from 2001 through 2004, he was certified by the American Council on Exercise (ACE) as both a Group and Personal Trainer. David Lader has a wide range of interests. More than anything, he prefers spending time with his wife, Asa, and their two children, Linnea and Noah. When he isn’t with his family or working, he enjoys studying, teaching, and training Warrior’s Dance with his students, some of whom have been training with him for almost 20 years. Lader tries to stay in shape by swimming, cycling, and weight lifting. He has always enjoyed a wide range of music, and has done some amateur recordings singing and playing guitar. He recalls being the lead singer in two bands as a young man, and he enjoys playing Native American flute, blues harp, and Latin drums. In 2012 Lader found a local piano teacher named Kim Hayashi and began learning to play classical piano. Most evenings, after putting his family to bed, he practices Beethoven and, more recently Chopin. Lader says this helps him relax and unwind. Mr. Lader enjoys reading historical fiction and has always been curious about early human history and civilizations. One of his favorite authors is Michener, his favorite comedy is Monty Python, and he likes Chess, TED Talks, movies, fine dining, and sushi. Lader is an avid amateur magician, and he enjoys speaking what little French he remembers from college and from living briefly in Paris during a foreign exchange program in 1985. He tries to learn and speak some Swedish with his wife and children who are all fluent, as Asa was born and raised in Djura, Sweden. Here’s what Lader said when asked about healthy living strategies: “Each day I make it a point to ‘check-in’ with certain people, and certain folks ‘check-in” with me. These ‘check-ins’ involve both of us sharing salient thoughts and feelings in the spirit of being ‘real’ and not being alone. It’s so easy to isolate with currently technology and the hyper speed of our times, and it’s so easy to lose touch with those things I think are most important. I try to remember each day to be responsible about self-care, so I can be useful to others as well. I try to keep it simple – I consider if I’m hungry, angry, lonely, or tired (H.A.L.T.). Making good food choices, getting enough quality rest, not isolating, and not ‘holding on to resentments’ seem to be a great start. When I take care of these basics, coping with life’s pain and celebrating life’s joys seem a bit easier.” Mr. Lader and his wife are both active in their private spiritual pursuits. 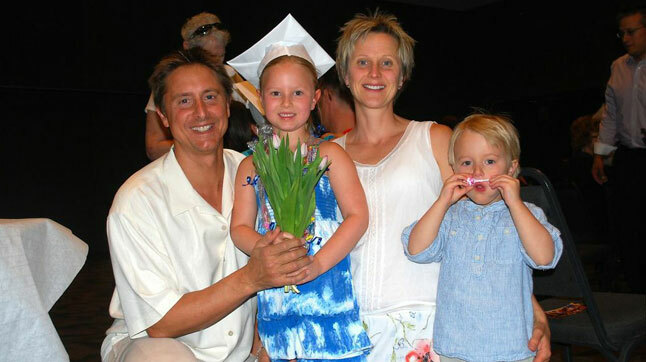 David Lader currently lives in Tucson, Arizona with his two children, Linnea and Noah. Lader teaches Warrior’s Dance locally. For a class schedule or to learn more about Warrior’s Dance, visit Lader at http://warriorsdancecom. Mr. Lader is originally from Cleveland, Ohio, and his parents and sisters currently reside in Chicago. 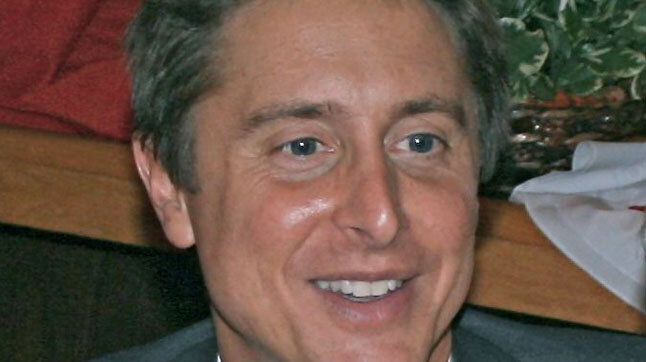 David Lader is a member of Rovin, LLC, a real estate investment company established in 2007 with partner Ken Lebsock. In 2013, Lader also began operating Linoa, LLC in Tucson, Arizona. Linoa is a real estate development company that recently purchased a home in Barrio Libre, part of Tucson’s famous historic district. The home was built in 1903 and is currently under restoration. For more information on David Lader’s real estate interests, visit http://rovinllc.com or http://linoallc.com.